Thirukkadigai or Sholingapuram is a Hindu place of pilgrimage in Sholinghur in the Vellore district of Tamil Nadu. As one of the 108 Divya Desams, places of worship sung about by the early-medieval Alvars in their "Mangalasasanam" (praise-songs), it is a holy site of particular importance to Vaishnavism. There are three separate shrines, dedicated to gods Narsimha, Bhaktavatsala Perumal and Hanuman (Anjaneya). They are situated on the larger hill, at the base of the larger hill and on the smaller hill respectively. This temple is located on top of the hill Periya malai (big hill). Lord Narasimha sits in a Yogic posture and thus is called 'Yoga Narasimha-Swamy'. 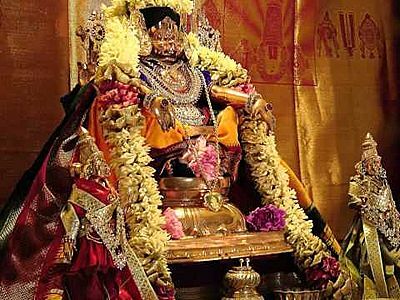 There is a separate shrine for Goddess Amrithavalli Thayaar. The place that Lord Narasimha settled down after Killing the Demon King to satiate his anger and Lord Hanuman can be seen directly facing Lord Narasimha from the Chinna Malai (Small Hill) meditating on Lord Narasimha. This is one of the 108 Divya Desams of Lord Vishnu consecrated by Peyalvar, Tirumangai Alvar, Sriman Nathamunikal, Tirukkacci Nambikal, Sri Ramanujar ans Sri Manavaala Maamunikal. 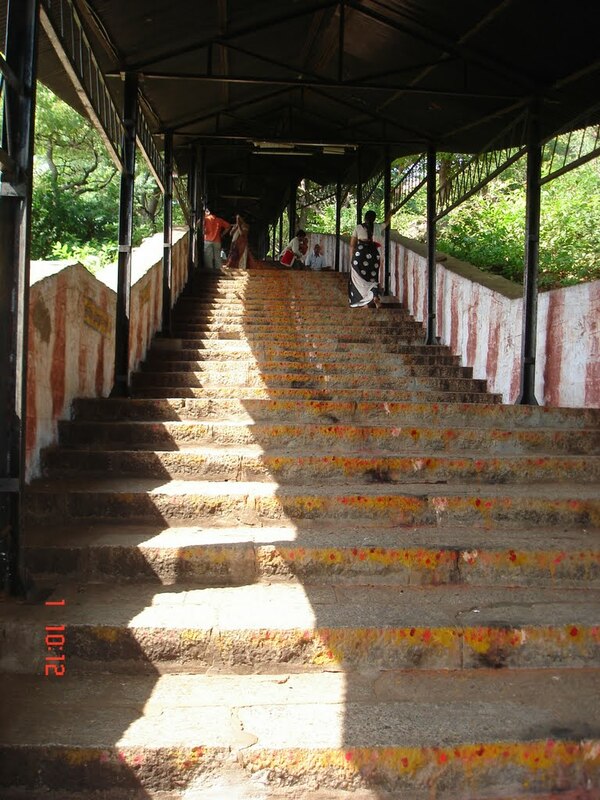 The sanctum sanctorum of the Prime Deity is atop of a hillock called Kadikachalam which is about 750 feet high with 1300 steps. The lion-faced Yoga Nrsimhar, in the yoga-sitting posture is facing east. He is donned with a salagramam garland. Sree Yoga Narsimha Swamy Temple in Sholinghur is also worshipped as Thirukkadigai, Chola Simhapuram and Kadigachalam is located approximately 30 from Arakkonam and just about 20 KM from Thiruputkuzhi Divyadesam. This is the temple where Lord Narsimhar gave moksham to HIS adherent devotee Prahalathan as well to Sabtharishis here in a short time of 24 Minutes ( Which is called as Kadigai in Tamil or Nazhigai ). Besides Sage Viswamithrar got his prestigious title of Brahma Rishi only by worshipping Lord Narasimaha here just for a Kadigai - 24 Minutes, hence the name Thiru Kadigai or Kadigachalam. It is believed that devotees who stay here for at least 24 minutes will attain moksha. One of the Chola Kings found a Sivalingam here and established a siva temple by the name Chola Linga Puram and later it is being known called as Chola Singa Puram, Sholinghur. 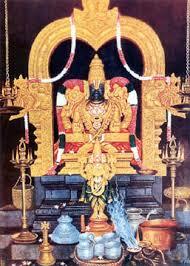 Thirumanjanam is being performed to the Moolavar Only on Fridays and Narasimha Jayanthi. In Chinnamalai Lord Yoga Anjaneyarfacing East looks like Anjaneya has been praying towards Lord Narasimha. The uniqueness is Lord Chaturbuja Yoga Anjaneya is seen with four hands holding the Conch and Discus of Lord Narayanan in his two hands, which were given by Sree Rama to Hanuman to fight against the Asuras, hence he is also referred as Veera Anjaneya, holding Jabamalai and Jabasangai in his other two hands in his Yoga Posture. 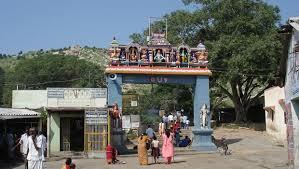 This is the One and Only Divya Desam where devotees can worship Lord Chaturbuja Anjaneyar that too in his Yoga Posture which is very very unique here in Sholinghur alias Thirukadigai. Narayanan Perumal Temple, Thirunangur,Nagapatnam, ..
Jakath Rakshaka Perumal Temple, Thirukkoodaloor,Th..